Jeffrey McInnis was born to either fish or cook, and to this day, he would gladly do either. Born in Niceville, Florida (and yes, that is a real city in the Florida panhandle) in 1978, he was surrounded by the magic of the ocean. He grew up on fishing boats, bringing in only the freshest catch and by 16, he was peeling shrimp, cleaning squid, cutting fish and cooking on the line at The Marina Cafe. His passion for fresh local food was further inspired by his frequent trips and long southern summers spent with both sets of grandparents on their working Alabama farms. The restaurant term “farm to table” was more than an expression, but a reality for McInnis as a child. His grandparents only ate what they raised, from milking their own dairy cows and churning butter, to making their own blackberry jelly preserves from fresh picks of the day. 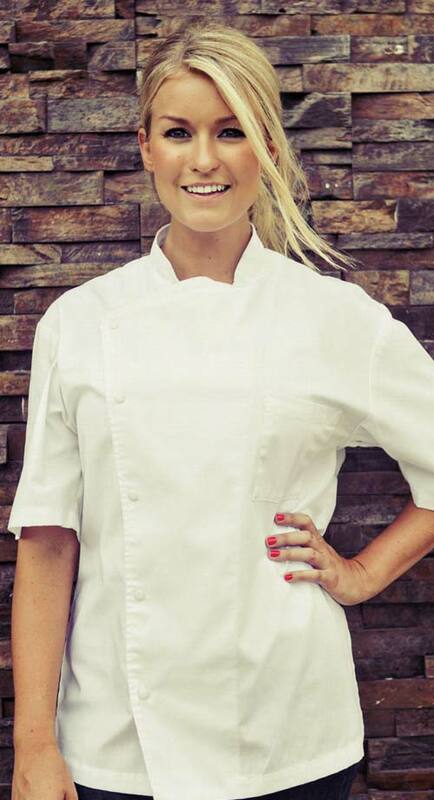 After high school, McInnis attended culinary school at Johnson & Wales University in Charleston, South Carolina. Determined to avoid being "type-cast" for only southern cuisine, McInnis set off traveling to further his culinary knowledge and expertise. After some time cooking in the Virgin Islands, San Francisco, Virginia, North Africa and Europe, Jeff expanded his repertoire to include Caribbean-Asian, Japanese, Southern Mediterranean and North African cuisine. After appearing on the popular Bravo television show, “Top Chef,” Jeff returned to his Miami roots, helming the kitchen at gigi and then a very successful Southern restaurant on Miami Beach, where he earned himself and the restaurant, three James Beard nominations in two years. Now settled in NYC, Jeff is bringing southern hospitality to Alphabet City with the opening of root & bone with his partner, Chef Janine Booth, of “Top Chef” season 11. Chef Janine Booth was born and raised on the beautiful, big island continent of Australia. A place where blue skies and sunshine encourage family and friends to gather around the backyard barbeque - everyone taking part in grilling and preparing farm fresh salads. For Janine, food has always been about bringing family and friends together to make memories and celebrate life. Living in the melting pot of the culinary world for most of her life, Janine was exposed to a vast array of flavors and cuisines and her ongoing fascination inspired her to begin cooking classes at a young age and immediately her passion, drive and creativity was ignited. In 2006 Janine took an eight-month culinary sabbatical, where she travelled extensively through Spain, Italy, Greece, France, Turkey, Germany, Monaco, UK, Austria, Switzerland, Belgium, Croatia, Thailand and Indonesia, exploring and gaining an incredible amount of knowledge on international flavors. Janine went on to study the craft of culinary arts at Le Cordon Bleu in Miami. Following culinary school, she kicked off her professional career as a Chef at Gigi’s restaurant in Miami under Executive Chef Jeff McInnis. Following her time at Gigi, Janine landed at a very successful Southern restaurant on Miami Beach in 2011, once again working under the tutelage of Chef Jeff McInnis where she fell in love with the cuisine and hospitality of the South. After almost two years cooking Southern food, Janine decided to return to a cuisine very close to her heart, Northeastern Thai, taking the position of Sous Chef on the opening team of Khong River House - within the first three months the restaurant was nominated for a James Beard award for 'Best New Restaurant'. In October 2013 - early 2014, Janine appeared on NBC/Bravo’s Emmy award winning television show, "Top Chef," cooking and competing against 18 other chefs in New Orleans, as well as many episodes of the Emmy nominated show "Last Chance Kitchen". Now settled in NYC, she’s bringing southern hospitality to Alphabet City with root & bone in 2014 with her partner, Chef Jeff McInnis, also of "Top Chef" fame. root & bone is a neighborhood restaurant celebrating Southern fare and country comforts; a roots revival of timeless Southern recipes & traditions.